Whenever I passed through in front of the shop, I was very interested in the shop, but somehow there was no opportunities to enter in. But finally I tried this shop at lunchtime ! 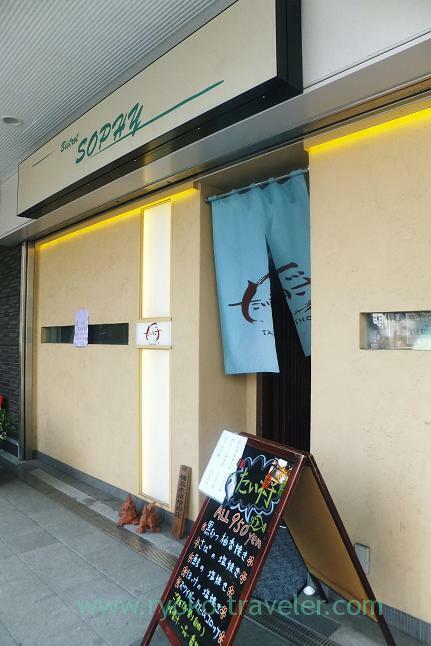 This restaurant’s official name is “Sophy” and hostess bar, but another people open this restaurant as “Taisyo” at lunchtime. The menu hasn’t changed for a long time since this shop started their business ! 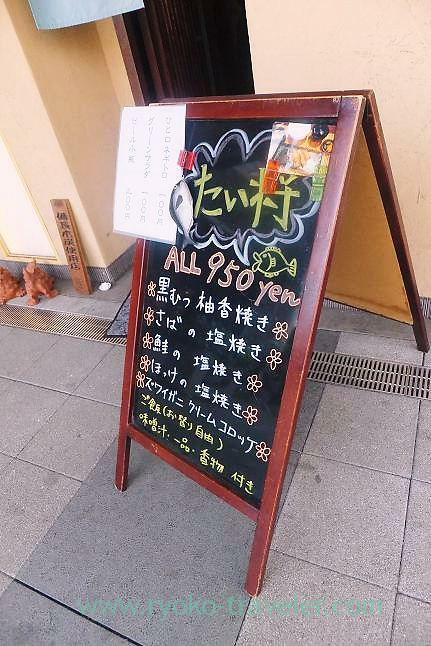 Every foods cost us 950 yen. It’s more expensive than another restaurants close to Kachidoki station. So, I ordered Citrus-grilled sea bass, too. 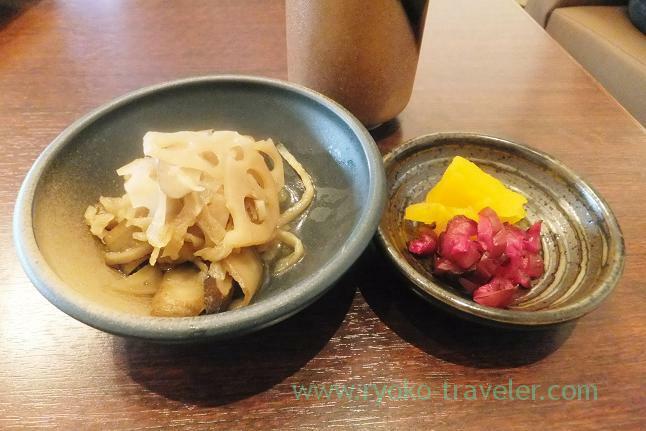 As soon as I finished order, the pickled vegetables and boiled kiriboshi daikon radish was served. After 10 minutes or so, my fish and another foods were served ! Bigger slice of sea bass ! I imagined sea bass have much fat. But its meat wasn’t too fatty and tasted light. 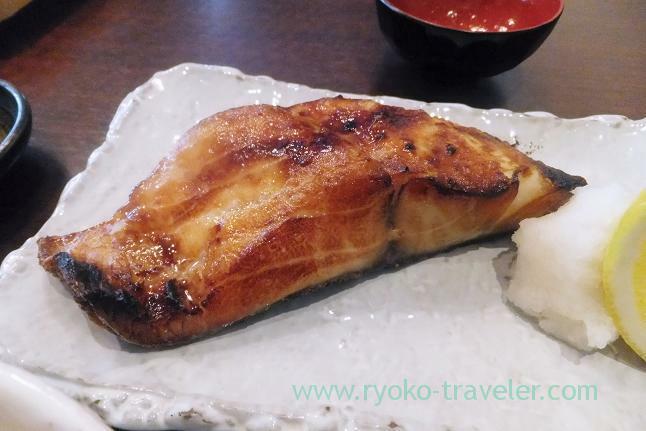 I was really surprised that I don’t need to go across Kachidoki bridge to eat good grilled fish ! This shop will be in my good lunch lists around my office ! After I got out of the restaurant and saw lunch menu again. I found there is “Small negitoro 100 yen” on the menu. I wanted to eat it 😛 I have to visit again soon !